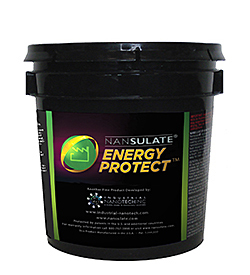 Nansulate Energy Protect clear thermal insulation and mold resistance coating increases thermal resistance of windows, walls, ceilings, and skylights. It can also be painted over with another water-based paint. On windows, the coating allows through approximately 92 percent of visible light and frosts windows, according to the company.